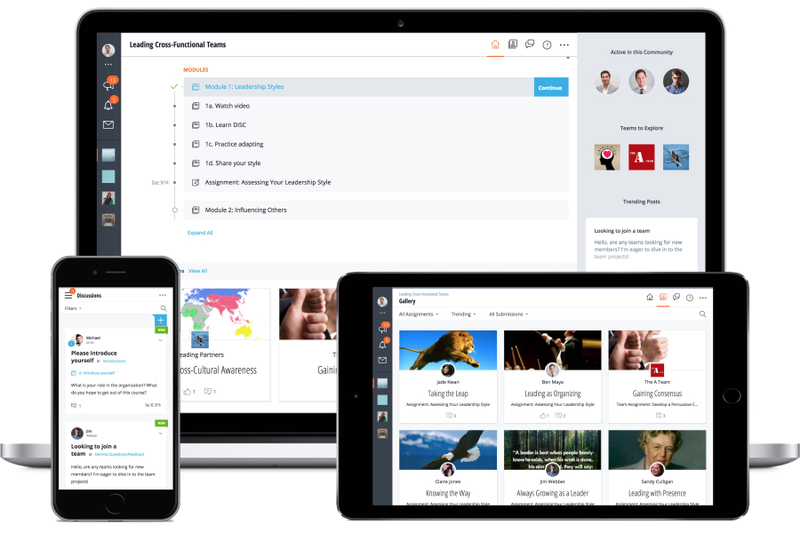 The NovoEd Learning Platform powers the latest training approaches, from self-directed micro-learning to project-based teams, which are typically only possible via in-person workshops. Participants learn through seamlessly integrated media, the practical application of new skills, and sharing and collaboration among peers. The platform can be used for every type of blended training, self-paced, or cohort-based training. Below are some popular use cases and topics, as well as major industries whose workforces are being transformed through the NovoEd Learning Platform.